David Walliams - Billionaire Boy 250 piece puzzle Fans of David Walliams’ hilarious, heart-felt children’s novels will love this fantastic Billionaire Boy 250 piece jigsaw. 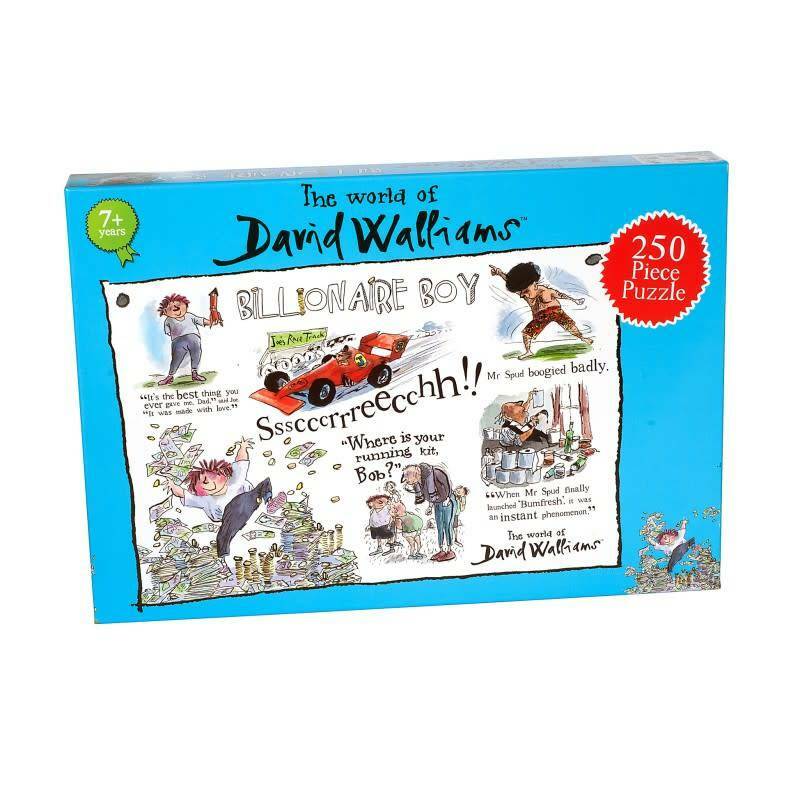 Fans of David Walliams’ hilarious, heart-felt children’s novels will love this fantastic Billionaire Boy 250 piece jigsaw. The World of David Walliams puzzle features some of the author’s anecdotes from the touching and extraordinary novel alongside a collage of brilliant illustrations by the award-winning illustrator, Tony Ross. The finished puzzle measures 335mm x 496mm and is suitable for aged 7 years old and over.